Our tools do the work for you. From award trips to shopping trips, we will help you spend less to go further. With so many options out there, we cut through the noise to show you which financial and travel products are best for you. We create actionable, data-driven reports to help you make informed personal finance and travel decisions. Travel credit cards are the leading way to help you save money on vacations. Through sign-up bonuses and everyday spending, you can earn tens of thousands of miles to fuel your next adventure. But what if travel is not your goal? We review a range of credit cards that best meet your needs, including rewards cards, cashback cards, 0% interest cards, balance transfer cards and more. These are the best cards in the market this year. We look at the benefits, perks and rewards to help you decide which is best for you. Everyone likes to get rewarded for their spending. We break down some of the best cards to use to earn rewards. 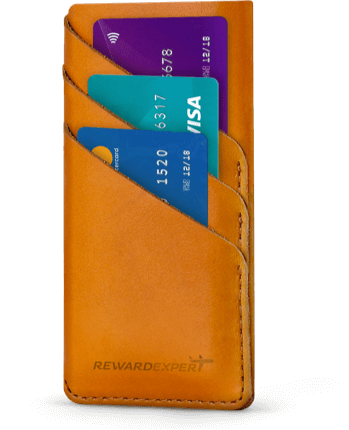 Whether you have a favorite airline or preferred hotel chain, we can match you to the right card to maximize your earning. Miles are a popular reward and signing up for a co-branded airline card is a great way to boost your balance. If you prefer cash back in your pocket as your reward, then a cashback card is the best fit. We look at the top cards for earning the most cash back for your spending. Find the best home away from home by choosing a hotel rewards card that meets your needs and earns you points and discounted hotel stays. Making a big purchase and want to avoid interest payments for a year or more? Here are some of the best cards with 0% APR. If you carry a balance on your credit card you should consider transferring it to a card with low or no interest to pay down debt. Want to avoid annual fees on your credit cards? No problem. These are the best cards with that do not charge an annual fee. If you carry a balance from time to time, a low interest credit card is a good choice to help you keep down interest payments. We compare cards by issuer to help you find a card with your favorite bank or find a new one if you like. It helps to spread your cards out among a few banks as several of them have rules on how often you can apply for cards and/or get a sign-up bonus. Here are the banks and issuers and the most popular cards they offer for comparison. Have the right card? Time to plan your reward trip! Save up to 40% by finding the best travel deals personalized to your miles and credit cards. Easily see where you can earn the most rewards for shopping at your favorite stores. Find the most convenient flight for less miles or points. Adjust search terms easily to meet your needs. When Does Your Rewards Credit Card Start Paying for Itself?